Being a mom is a full-time, sometimes thankless job. But, how can you show her your appreciation without breaking the bank? Whether you’re searching for a gift for a new mom, a great birthday gift, or just want to surprise her with something thoughtful, we’ve chosen our favorite budget-friendly gift boxes under $50 that will impress mom month after month. Plus, she'd be the first to say "it's the thought that counts"! 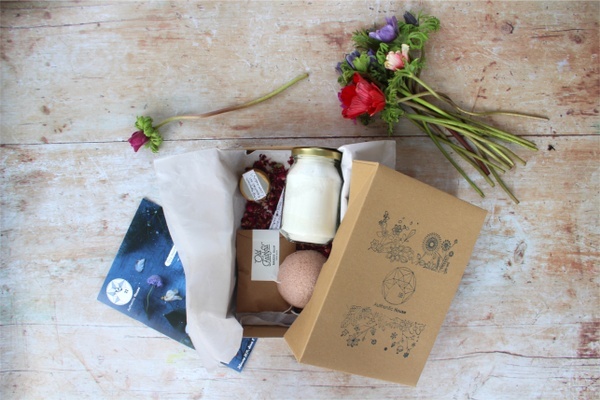 From delicious treats and good reads to a warm cup of tea or all-natural bath products, read on for some of the best subscription box gifts for mom under $50! What You’ll Get: My Reward Box is for anyone looking to reward their skin with only the best in skincare. 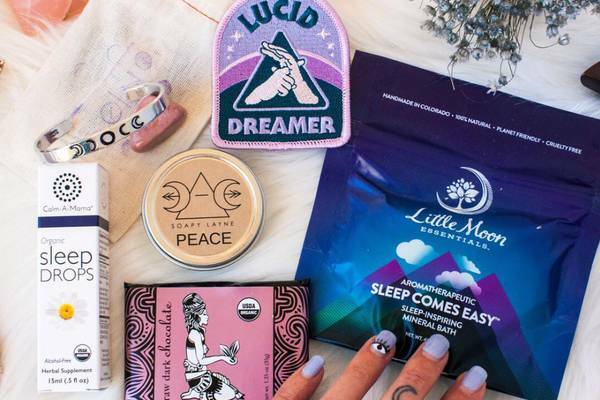 Featuring fun monthly themes, the regular box includes 5-6 full-size items and the mini box comes with 3-4 full-sized items, including high-quality makeup, face masks, artisanal body care products and home goods. What You’ll Get: Moms need to be prepared, so give the gift of sophisticated organization with the monthly Cloth & Paper box, sending useful supplies and goodies perfect for those who enjoy planning for the future. Including 4-7 items per box, from paper to planners and fancy pens, this thoughtfully curated box brings plenty of high-end style into the daily grind. What You’ll Get: Bath lovers are sure to enjoy the restorative power that’s contained in each box of The Bath Benefit. Sit back and relax into the freshly drawn warm water with 4-7 handcrafted and artisanal bath products and accessories of the finest quality, including bombs, salts, soaps, soaks, candles, washes and gels. There’s plenty to calm the mind and body in every box. What You’ll Get: Definitely one of the best gift ideas under $50, with the Bombay & Cedar box, breathe in the relaxation and live an inspired life. Each month’s box features 2 of the company’s essential oils, along with 6-7 full-size luxury products like diffusers, home goods and snacks. Promote a calm mind and easy spirit month after month. What You’ll Get: All mothers deserve every last crumb of the sweet treats delivered in the Mother Snacker Dessert Discovery Box. 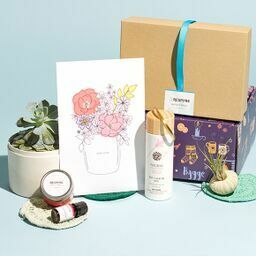 Curated specifically for moms, each box brings 5-7 items including artisanal full-sized dessert treats like cookies, brownies and caramels, along with beauty items, inspiring prints and other surprise gifts. What You’ll Get: Two staples every home cook needs in their pantry are high-quality extra virgin olive oil and balsamic vinegar. Naples Olive Oil Company monthly subscription boxes send the goods each month. Available in 3 different subscription sizes, each box delivers 1 bottle of flavored extra virgin olive oil, 1 bottle of balsamic vinegar and 2 outstanding recipes that showcase this fine pairing. What You’ll Get: The more the merrier definitely applies when it comes to house plants, and the House Plant Box delivers more for less. Sending a curated selection of healthy, unique house plants, air plants and succulents, along with plant care instructions and extras like pots or fertilizer, it’s a gift that keeps on growing. What You’ll Get: Every women loves a little bling and Glamour Jewelry delivers exactly that. Each gift box includes 3 pieces of trendy boutique jewelry like rings, earrings, bracelets, and necklaces. 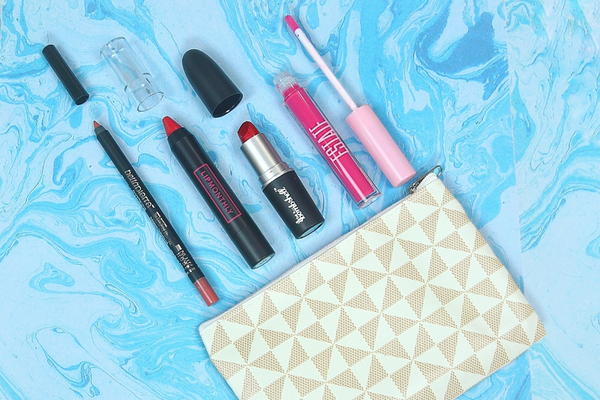 All pieces are wrapped up in a beautiful jewelry bag to make the feel extra special. Shopping for the holidays? Order before December 15th for a December 24th delivery! Need more gift ideas for your mom? We’ve got them!